The Balkan lynx has teetered on the brink of extinction for almost a hundred years, and today, fewer than 50 of these felines roam their native turf. A tiny cub, however, has provided new evidence of something conservationists have long been hoping for: the critically endangered cats are breeding. The fluffy arrival might look lost and alone, but don't worry – mom was nearby when this snapshot was taken. In fact, it was data from her GPS collar that led the collaborative team from EuroNatur and the Macedonian Ecological Society (MES) to the lynx den. The cub's mother "Maya" was the first female of her kind to be fitted with a tracking collar, and the recent discovery shows just how valuable studies like these can be. 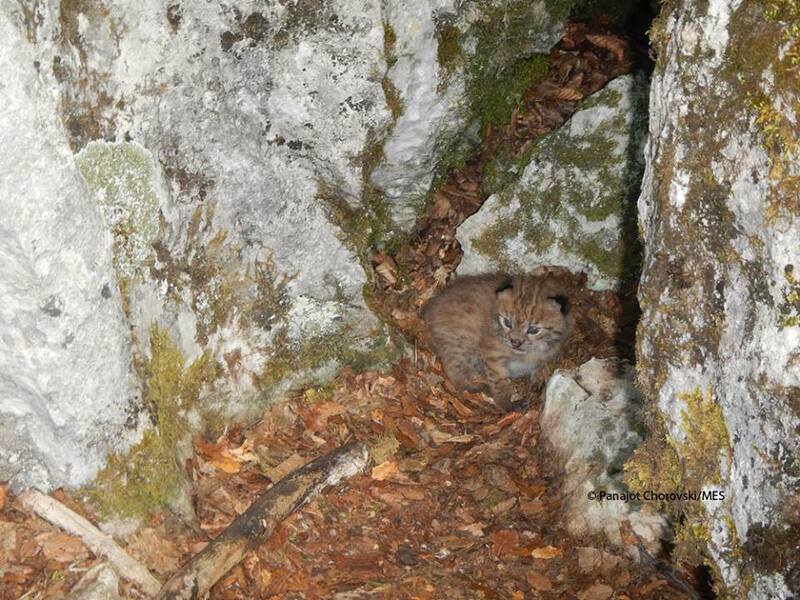 Until now, the only proof we had of Balkan lynx breeding activity was a cub that was sadly stoned by a farmer in Albania back in 2015. 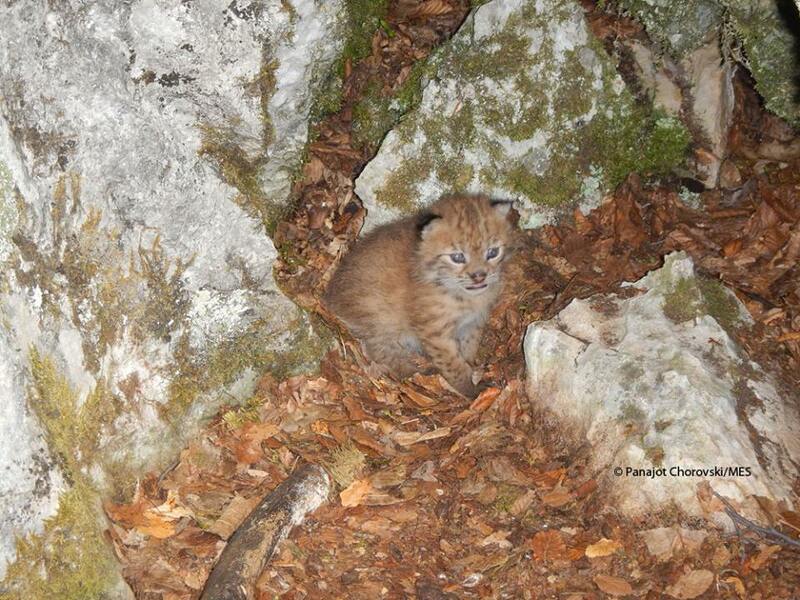 "It is a great thing to be able to see this baby lynx, hale and hearty," says MES team member Panajot Chorovski, who photographed the cub. Maya's den is nestled near the perimeter of Mavrovo National Park, which lies on the border of Macedonia and Albania. The park forms part of the so-called "Balkan Green Belt", a swathe of land that was reclaimed by nature after the Cold War left the area devoid of human habitation. Today, it's the jewel of the region, comprised of nearly 1,000 miles of pristine forested peaks and gullies. But even here, human development is creeping in and threatening local wildlife. "There are still important natural treasures along the former border between East and West which are urgently in need of official conservation status," says the team. "Even in already designated National Parks and strict Nature Reserves, the aims of conservation have not been carried out to a sufficient degree." For local conservation groups, staff shortages and scarce funding for monitoring these wild expanses are just part of the problem. This is also a covetable corner of the world for competing interests – and deep pockets. "Other players are competing to use the land," the team explains. "Major industrial projects such as dams, skiing areas, wind parks and motorways are exerting ever greater pressure." Deforestation and illegal logging are also considerable threats. A single male Balkan lynx can patrol a vast home range of over 100 square miles – and this puts the cats at great risk. In addition to Albania and Macedonia, neighbouring Kosovo and Montenegro have recorded several of their own lynx sightings, but at this point, we don't know if these tiny populations intermix. That makes the patchy protections the cats currently receive especially troubling, and underscores why GPS and camera trap data are so important: we can't protect these animals if we don't know where they are. For this reason, the EcoNatur and MES teams are continuing in their push for an uninterrupted corridor of protected land across the Balkans. "The most important goal is to convince local people that a national park is an opportunity, not an obstacle," they say. "So we have to think about sustainable local development. We have to make it economically worthwhile for people, too." That also means establishing better incentives for sustainable hunting of the cats' prey species (grazers like roe deer and chamois) and educating local farmers about the benefits of predator recovery. One tiny cub won't do much to change the plight of a species, but the recent sighting has given the team hope that other lynx breeding pairs could be roaming the region – and that eventually, their offspring may continue to move into new – threat-free – territory. 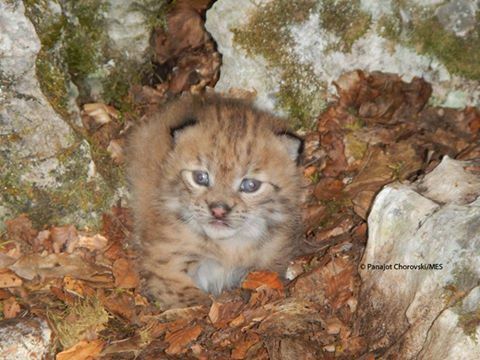 Just 25 percent of Balkan lynx kittens are thought to survive to adulthood, so it'll be a tough road for this little one. The team plans to monitor it as closely as possible. The Canada lynx, a creature built for stealth, is not easy to spot. But for one Parks Canada employee, last week brought a bumper cat sighting.